Sustainability is important to San Antonio when it comes to Transportation. In this section you will find information about plans, progress and issues related to transportation and how such is affecting our area, community and lives. This Information, when possible, will mostly be organized to Commercial, Personal and Public and then also by geographic area. Taking a multiple ways or "integrative approach" to making decisions about best choices lies in the execution and fine print details. For example, if Bus Rapid Transit is implemented will it utilize electric, CNG or traditional gasoline powered buses? Will it, and/or should it, be used to aid in redevelopment and revitalization of certain areas of a city? A study looking at performance of bus rapid transit vs. light rail in Los Angeles and another comparing the American experience with BRT with successful international examples have been added to Best Practices. 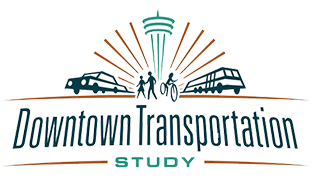 Here is the Downtown Transportation Study Final Draft and the Executive Summary of which more information can be viewed on the project website. The report will be considered by City Council during a future session, following which, a final copy will be printed. In other countries much is being done as far as sustainable transportation. Why not in the United States? Why not in San Antonio?